Rosenbuschite: Mineral information, data and localities. Named after Karl Harry Ferdinand Rosenbusch [June 24, 1836 Einbeck, Germany - January 20, 1914 Heidelberg, Germany]. Mineralogist and petrologist at Heidelberg University. One of the most important developers of petrography. 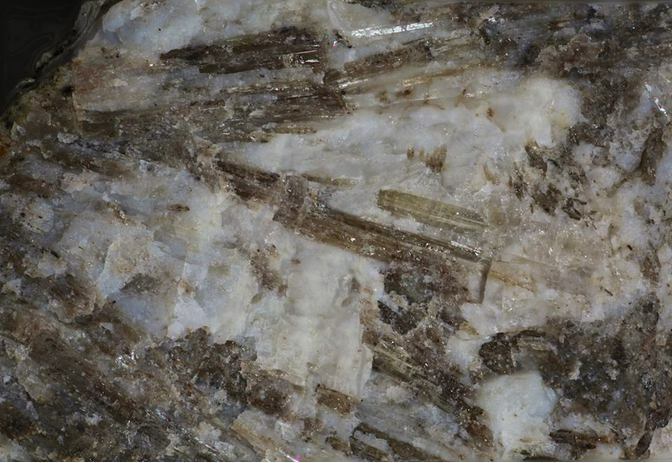 Light brown, tan, or gray brown rod-like to fibrous crystals embedded in matrix. Acicular crystals in vugs. Rod-like irregular crystals, also fibrous; rarely in cavities; acicular crystals. Aegirine 1 photo of Rosenbuschite associated with Aegirine on mindat.org. 9.BE.05 Hennomartinite SrMn3+2(Si2O7)(OH)2 · H2O Orth. 9.BE.05 Noelbensonite BaMn3+2(Si2O7)(OH)2 · H2O Orth. 9.BE.05 Itoigawaite SrAl2(Si2O7)(OH)2 · H2O Orth. 9.BE.10 Suolunite Ca2(H2Si2O7) · H2O Orth. 9.BE.20 Nacareniobsite-(Ce) NbNa3Ca3(Ce,REE )(Si2O7)2OF3 Mon. 9.BE.27 Murmanite Na2Ti2(Si2O7)O2 · 2H2O Tric. 9.BE.30 Epistolite Na2(Nb,Ti)2(Si2O7)O2 · nH2O Tric. 9.BE.60 Delindeite (Na,K)2(Ba,Ca)2(Ti,Fe,Al)3(Si2O7)2O2(OH)2 · 2H2O Mon. 56.2.4.11 Jennite Ca9(Si3O9)2(OH)8 · 8H2O Tric. 56.2.4.12 Komarovite (Ca,Mn)Nb2[O3|Si2O7] · 3.5H2O Orth. 56.2.4.13 Natrokomarovite (Na,Ca,H)2Nb2Si2O10(OH,F)2 · H2O Orth. 56.2.4.14 Suolunite Ca2(H2Si2O7) · H2O Orth. 56.2.4.15 Mongolite Ca4Nb6Si5O24(OH)10 · nH2O Tet. Brögger, W.C. (1887) Forelöbig meddelelse om mineralerne på de sydnorske augit- og nefelinsyeniters grovkornige gange. Geologiska Föreningens i Stockholm Förhandlingar: 9: 247-274. Shibaeva, R.P., Simonov, V.I., Belov, N.V. (1963) Crystal structure of the Ca,Na,Zr,Ti silicate rosenbuschite, Ca3.5Na2.5Zr(Ti,Mn,Nb)[Si2O7]2F2O(F,O). Soviet Physics - Crystallography: 8: 406-413. Soviet Physics – Crystallography: 8: 505-516. Cannillo, E., Mazzi, F., Rossi, G. (1972) Crystal structure of gotzenite. Soviet Physics - Crystallography: 16(6): 1026-1030. Christiansen, C.C., Johnsen, O., Makovicky, E. (2003) Crystal chemistry of the rosenbuschite group. The Canadian Mineralogist: 41: 1203-1224. Sokolova, E. (2006) From structure topology to chemical composition. I. Structural hierarchy and stereochemistry in titanium disilicate minerals. The Canadian Mineralogist: 44: 1273-1330. ATENCIO, D., COUTINHO, J.M.C., ULBRICH, M.N.C., VLACH, S.R.F., RASTVETAEVA, R.K. & PUSHCHAROVSKY, D.Yu. 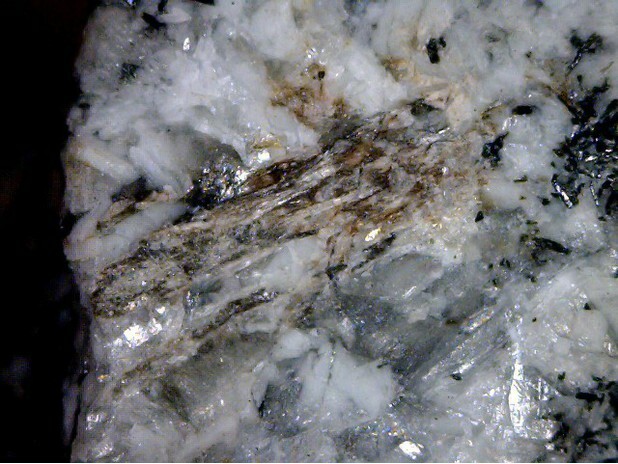 (1999) Hainite from Poços de Caldas, Minas Gerais, Brazil. Canadian Mineralogist, 37, 91-98.
ⓘ Ice River Alkaline Complex ? Wallace et al. (1990) Canadian Mineralogist 28, 251; Wallace, G.M., Whalen, J.B. & Martin, R.F. (1990) Agpaitic and miaskitic nepheline syenites of the McGerrigle plutonic complex, Gaspé, Quebec. Canadian Mineralogist 28, 251-266. Moreau, C., Ohnenstetter, D., Demaiffe, D., & Robineau, B. (1996). The Los Archipelago nepheline syenite ring-structure; a magmatic marker of the evolution of the Central and Equatorial Atlantic. The Canadian Mineralogist, 34(2), 281-299. Lustrino, M., Cucciniello, C., Melluso, L., Tassinari, C. C., dè Gennaro, R., & Serracino, M. (2012). Petrogenesis of Cenozoic volcanic rocks in the NW sector of the Gharyan volcanic field, Libya. Lithos, 155, 218-235. 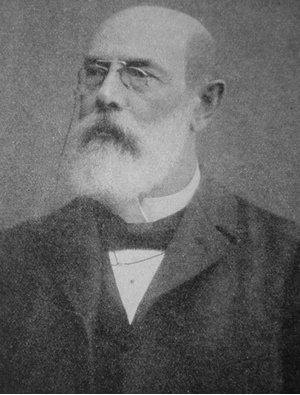 Larsen, A. O. (ed.) (2010): The Langesundsfjord. History, geology, pegmatites, minerals. 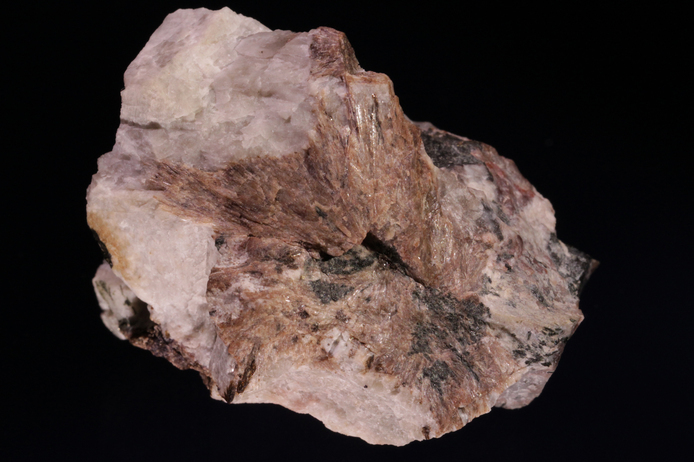 Bode Verlag Gmbh, Salzhemmendorf, Germany, 240 pp (p.198); Andersen, T., Erambert, M., Larsen, A. O. and Selbekk, R. S. (2010): Petrology of nepheline syenite pegmatites in the Oslo Rift, Norway: Zirconium silicate mineral assemblages as indicators of alkalinity and volatile fugacity in mildly agpaitic magma. J. Petrology 51, 2303-2325. Larsen, A. O. (ed.) (2010): The Langesundsfjord. History, geology, pegmatites, minerals. Bode Verlag Gmbh, Salzhemmendorf, Germany, 240 pp; Andersen, T., Erambert, M., Larsen, A. O. and Selbekk, R. S. (2010): Petrology of nepheline syenite pegmatites in the Oslo Rift, Norway: Zirconium silicate mineral assemblages as indicators of alkalinity and volatile fugacity in mildly agpaitic magma. J. Petrology 51, 2303-2325. Knut Edvard Larsen collection, visually identified; Andersen, T., Erambert, M., Larsen, A. O., & Selbekk, R. S. (2010). Petrology of nepheline syenite pegmatites in the Oslo Rift, Norway: zirconium silicate mineral assemblages as indicators of alkalinity and volatile fugacity in mildly agpaitic magma. Journal of Petrology, 51(11), 2303-2325. Brøgger, W.C. (1887): Foreløpig meddelelse om Mineralerne paa de sydnorske augit-og nefelinsyeniters grovkornige gange. Geologiska Föreningen i Stockholm Förhandlingar 9, 247-274; Andersen, T., Erambert, M., Larsen, A. O. and Selbekk, R. S. (2010): Petrology of nepheline syenite pegmatites in the Oslo Rift, Norway: Zirconium silicate mineral assemblages as indicators of alkalinity and volatile fugacity in mildly agpaitic magma. J. Petrology 51, 2303-2325. Vladykin, N. V., & Sotnikova, I. A. (2017). Petrology, geochemistry and source characteristics of the Burpala alkaline massif, North Baikal. Geoscience Frontiers, 8(4), 711-719. Konopleva, N.G., Ivanyuk, G.Y., Pakhomovsky, Y.A., Yakovenchuk, V.N., Men’shikov, Y.P., and Korchak, Y.A. (2008): Geology of Ore Deposits 50(8), 720-731. Mikhailova, Y.A., Konopleva, N.G., Yakovenchuk, V.N., Ivanyuk, G.Y., Men’shikov, Y.P., and Pakhomovsky, Y.A. (2007): Geology of Ore Deposits 49(7), 590-598. Thulin, H. (1996): Norra Kärr. Litiofilen 13: 17-51; Tranefors, H. & Olsson, K. (2017) Norra Kärr- ett återbesök och uppdatering från juni 2016. Litiofilen: 34: 7-10.